October-November-December: This is the season when many students are forced into some soul searching and career planning as they take important decisions about their future. Very often these are triggered by thoughts on which program they should apply for and if certain choices will close certain doors. Often, it is a “Statement of Purpose” or similar essay that forces them to think. I have been talking to young people who approach me asking me for inputs and advise. 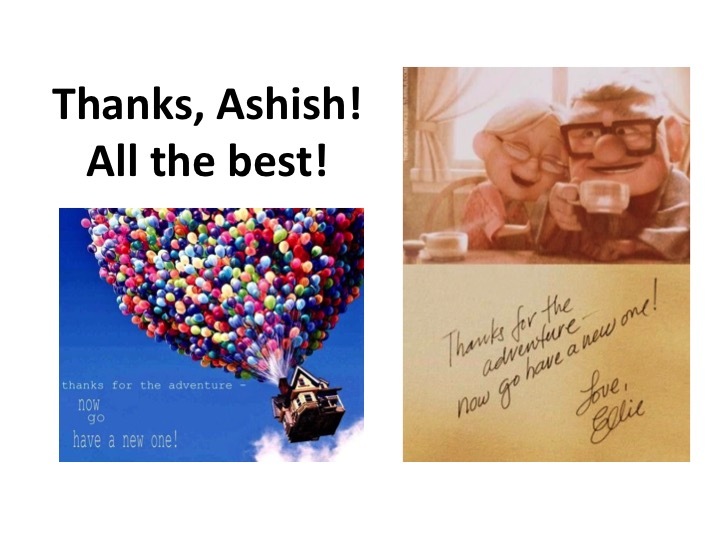 In this blog, I am picking up one theme that comes up quite often —- do certain career choices align with a person’s financial aspirations? Here are some observations and simplistic points. Level 1: The richest people in the world are owners of scalable businesses or owners of property (financial, land, building etc or intellectual). Example: Ambanis, Tatas, Birlas, Trump, Saudi kings, Mark Zuckerberg, Bill Gates, Warren Buffet, JK Rowling, etc. Occasionally, a prolific inventor like may be Lemelson. Can include rich land owning farmers. 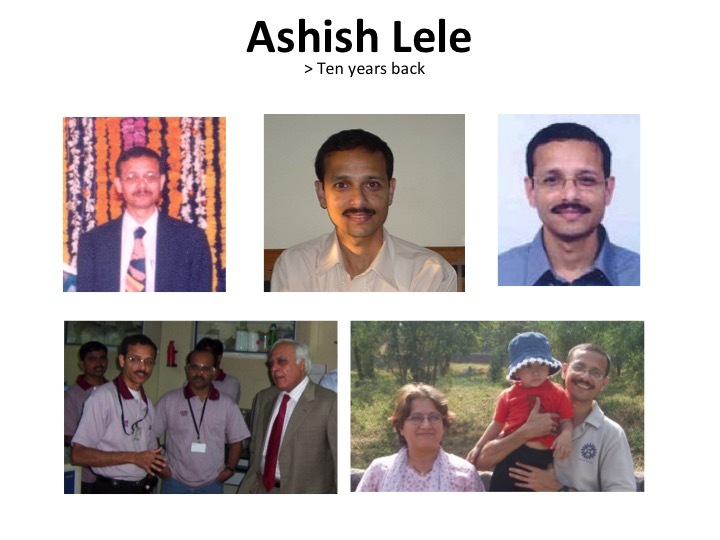 Level 3: Highest level managers, professionals in various companies. CXOs. Presidents. Vice Presidents etc. Each Level is associated with certain preparation, certain risk taking, having access to certain resources (including funds, networks, knowhow etc). For example, it is easy to prepare to be in Level 1 for second generation entrepreneurs whose parents have already put them in Level 1 orbit. A classic example is Mukesh Ambani who was put in Level 1 by his father (Dhirubhai Ambani) who moved from Level 7 to Level 1 in one generation. Dhirubhai Ambani had ambition and took immense risks. Mukesh Ambani has the benefit of resources at his command, knowhow, networks etc. Many of us in the Indian middle class, belong to Level 5 and often try to push their kids to Level 4 and Level 3 via (for example) the rat races called IIT-JEE, NEET etc. Occasionally, one first generation entrepreneur makes the jump to Level 1 and 2; and we celebrate those cases. 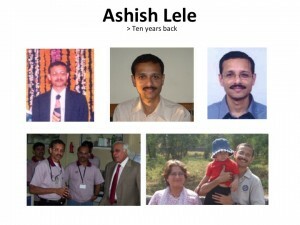 (ex: Narayana Murthy of Infosys, Sachin Bansal of Flipkart etc). Some of us are content being at the Level we are at and others are not. JK Rowling was at Level 5 or below as a teacher. But she believed she had a talent which will take her to the top league. Fortunately for her, she created intellectual property that was valuable and she has been propelled into Level 1. When the government or large companies or even some foreign governments promote skill development activities, they are just trying to populate Level 6. This may be okay for people in Level 7 (unskilled labour) but what if they are aspiring to be in Level 5, 4 and above. Of course, there will be unhappiness. Classic example is of a lower middle class urban family or a middle class rural family wanting their children to get “high paying IT jobs”. You will also notice how many middle class families in India want their kids to become IITians so that they can graduate into Level 3 and 4 jobs. Many kids are quite unhappy in those roles (which can be mundane line functions) but they do meet the aspirations of their family. And then you have those who were left with no option (that is did it not because they were very keen on public service careers but because they had no other option!) but become government employees/ professors etc, and then feel envious about the guys who chose to go to Level 1, 2, 3,4. Now, if you wish to be in the top bracket (Level 1), you cannot be preparing for roles more suited for Level 5. And if you have chosen to do Level 5, you have to find satisfaction in the role and its contribution to society and not constantly compare yourself with Level 1 folks. In school and college, choose the right path for yourself. If you are increasingly focusing singularly on academic excellence and seeing your teachers/ professors as you role model, you may head to Level 5. If you wish to reach Level 1, you will need to learn things to take you there and select those activities which help you build resources, networks, knowhow etc to take you to Level 1. For example, for many first generation entrepreneurs, the ticket to Level 1 is creating, owning and exploiting valuable intellectual property. (Note — I am saying “owning”! ) . Then clearly you need to know how to create and exploit intellectual property. Many young people with entrepreneurial aspirations, need to often steer clear from Level 3/4/5 careers and actively move towards Level 1/2. Do not confuse entrepreneurial training (for Level 1/2) with skill development (Level 6). If you find great satisfaction in public service, research, teaching and the general glory/ respect/ fame it brings or can bring, be comfortable with the idea of being at Level 5. And also convince your family that is where you wish to be. This year, investors have shown interest in investing in startups with new ideas rather than just India execution plays. This is a good trend. 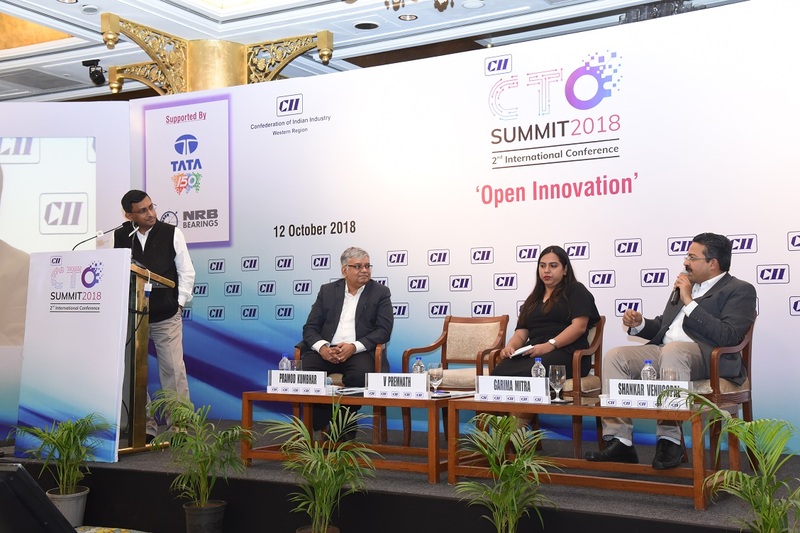 That said, majority of investments (by value) were in sectors where there is no technology innovation but mostly business process innovation and execution challenges (mainly in IT enabled businesses of various kinds such as food delivery, education, commerce, etc etc). 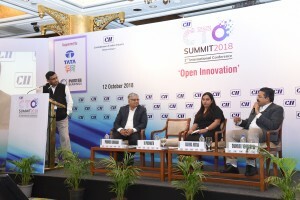 Early stage investments in non-IT enabled sectors are primarily happening in healthcare products, mechatronics/ IOT and certain agro and social innovation sectors. The investment size is not that large because these are early stage startups. However, they are very important to the sectors and make a huge difference in encouraging entrepreneurs. This is being driven by seed funds associated with incubators, Angel investors, early stage venture capital funds and impact investors. Investments in sectors such as energy and environment are happening but using traditional models of financing (not really VC) and in late stage deployment of solutions. Not much investment is happening in early stage tech development. So the startup pipeline for investors is likely to be weak in coming years. 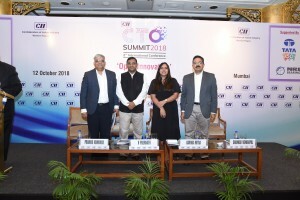 IT enabled services/ sectors (commerce, food delivery, ride hailing, education, agro, finance, payments etc) will continue to draw the largest funding. I think CY 2019 will be a good year for healthcare products startups. I am also hopeful that algorithm intensive areas like cyber security will throw up new opportunities for India. I am not hopeful about early stage funding in energy and environment sectors. I am hopeful that the Government of India will create a vehicle like BIRAC for other sectors. If that happens, a lot of pipeline creation for future investments in knowledge intensive and IP rich startups will take place. This will create good candidates for investment say 3 years hence. This year might see a boom in waste management companies. Since funding in this sector is a problem, large players with strong balance sheets will eventually dominate and probably squeeze out startups and first generation entrepreneurs. The focus on startups will reduce in the election year of 2019. The government will focus more on rural areas and probably de-emphasize startups. As usual, this should be a good year for corporate ventures and family businesses. First generation entrepreneur interest and availability of financing always go hand-in-hand. 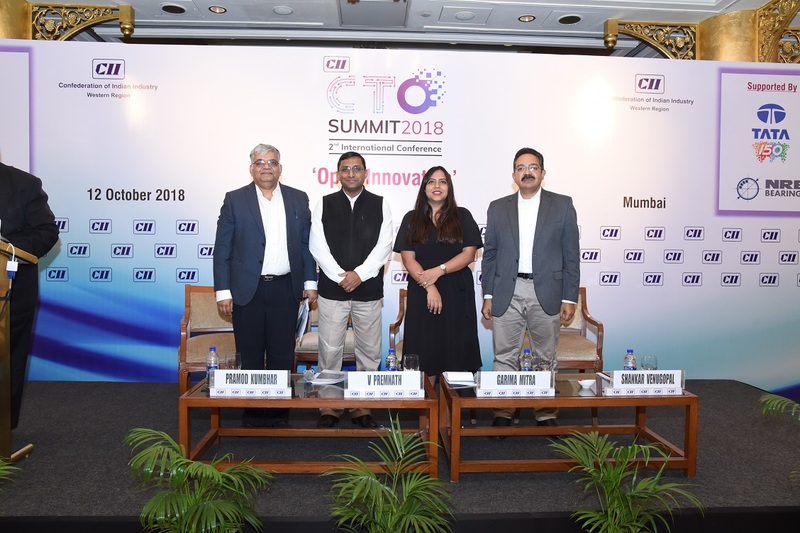 Lack of early stage financing to spur startup creation and empower first generation entrepreneurs is still limited to only very few sectors in India. That remains the greatest challenge. The funding landscape is not continuous in India and has gaps. Which means that Indian startups will either a) raise money from foreign funders or b) move overseas to raise money. This is especially likely in knowledge intensive areas where the appetite for Indian investors has been low. 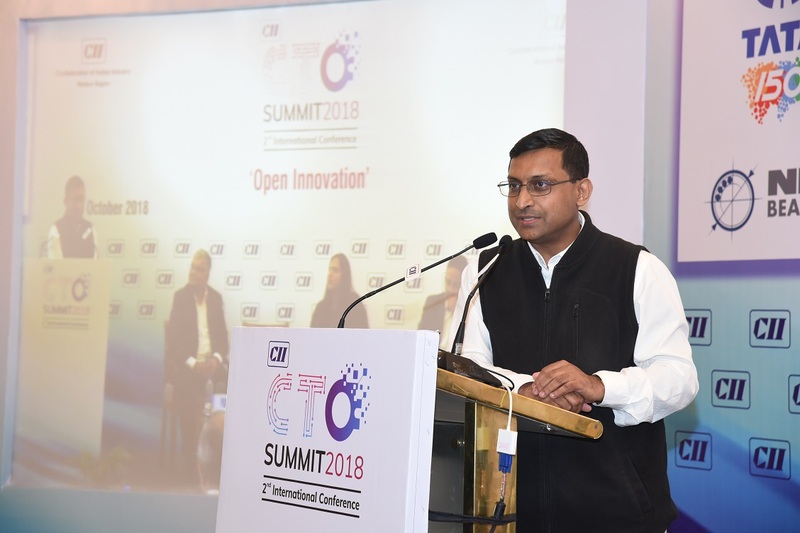 Again a missed opportunity will be inability of the Indian ecosystem to draw upon academia and R&D institutions for new technical capabilities seamlessly to build new technologies. My colleague and the Venture Center Librarian, Saroj Krishnaswami, passed away on Friday, 14 December 2018. She had been ailing for some time with a weak heart and a bothersome lung. She passed away peacefully. She lived a long, good and proud life, and will leave us all with happy memories. Saroj was the perfect librarian; she took great pride in her profession! In a day and age when we meet so many people who take up professions without a passion or love for their work, she stood out in her deep love and respect for her profession. She knew that libraries are important for any civilized society and that she was doing important work! She made sure that the library celebrated “Saraswati” (Goddess of Knowledge in the Indian tradition) both directly and indirectly — one of her first acquisitions was a painting of Saraswati done in Warli painting style. She promptly put up a picture of SR Ranganathan (Father of Library Science in India; His birthday is remembered as National Librarian Day in India; https://en.wikipedia.org/wiki/S._R._Ranganathan ). She followed his five(simple and elegant) laws of Library Science: 1) Books are for use.2) Every person his or her book. 3) Every book its reader. 4) Save the time of the reader. 5) The library is a growing organism. Saroj read widely herself and made sure she knew every book in the collection in some measure. She often recommended sections and books to readers – a dying art in current times. Once in a while, she would politely admonish my colleagues who did not visit the library. She goaded people to read via her monthly “Must read” or “New additions” emails. Many of us will definitely remember this because she made it such attractive reading for all of us with a brief summary, a link to a recent book review from a reputable source and then some related cartoons and limericks. 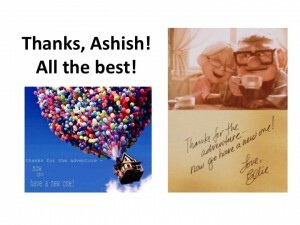 I always enjoyed these emails enormously! Times are changing and the role of libraries is also changing very rapidly. The Internet has made information easily accessible online and so libraries are not anymore the primary source of reference information. Books have also become quite accessible and affordable with online bookstores and rising affluence. There are now online platforms for bookworms. Various people seek book recommendations and curated lists online and in social media. These are clearly testing times for physical libraries. But, in my view, there is still a role for old-fashioned libraries and librarians. Physical libraries are still the place where you can sit at leisure and browse through pages without straining your eyes or too many distractions. One gets lost in the words. One gets into a different world. There is peace. All said and done, people crave human contact and physical gatherings that stimulate their brain, heart and soul – what better place for this than a library. Saroj herself embodied that spirit and aspiration for many of us. In a recent email, Dr Vijay Kelkar (Padma Vibhushan) so aptly put it –“She was an ideal Librarian: a lover of books and also of their readers!”. In Venture Center, Saroj was unique in many ways. She joined Venture Center almost after crossing retirement age (whatever that means). She was in the midst of a much younger group of colleagues but amazingly at ease with all of them. She happily joined all the celebrations and get-togethers. She joined in the non-strenuous parts of the staff outings or picnics. She made sure she was savvy with computers, phones, email, social media etc. There would be friendly bantering between colleagues and she was not one to be left out. I hear that her nickname was “Colonel” amongst some of our team members – perhaps a name she earned because she could assert herself when she wanted! Saroj for recognized and adored for her gentleness, politeness, kindness, generosity and helpfulness. After getting some requests from local students (especially from the poorer areas in the vicinity), she started a reading room service for these students. If there was someone in need, she found ways to accommodate that person. Saroj was also quite passionate about many other themes affecting society especially the environment. She was keen on solving the plastic littering menace. She knew that I work with polymeric materials and wanted to understand more on what could be the right ways to go about it and enquired about what I thought of government/ judicial initiatives. In all this, she kept a surprisingly open mind. Saroj enjoyed her travel and visits. She made sure she visited some place new every year. Occasionally, I would see her holiday pictures in jeans, t-shirt and straw hats and be surprised by the transformation. Interestingly, Saroj was also a keen follower of the financial pages and the stock market. I think she did this more as a hobby — but with considerable knowledge and reading. She had read Peter Lynch’s books and the investor’s bible “The Intelligent Investor”. With all this, I can easily say that she was the “coolest” 60+ lady I have ever met!! We will all miss Saroj dearly but I am glad she chose to share some of her journey in this world with us and be part of our family! 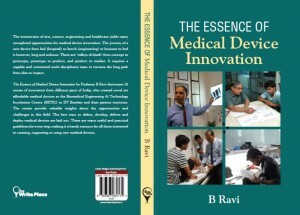 Prof B Ravi of IIT-Bombay has recently published this book “The Essence of Medical Device Innovation”. This book is an excellent introductory book for aspiring med tech innovators and entrepreneurs. 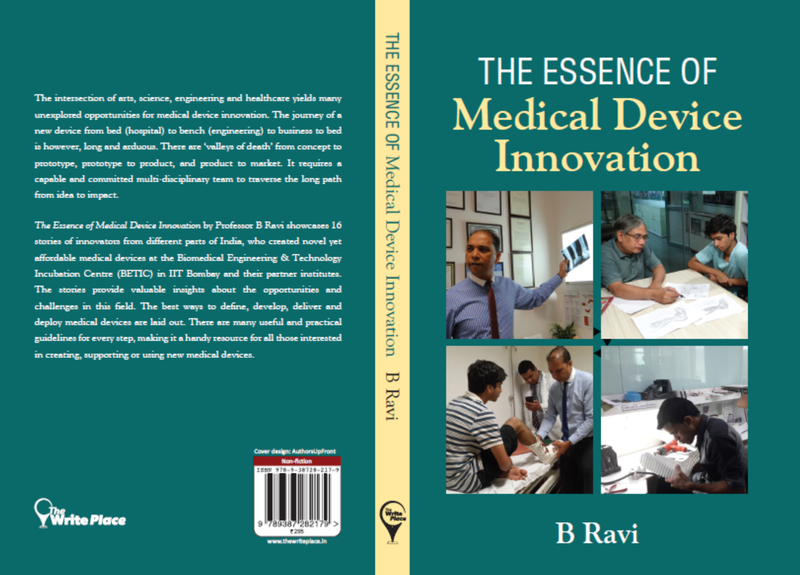 The book stands out because of the real-world and relatable stories of med tech innovation that aim to share the deep and practical insights of the BETIC team in medical device design and innovation. This brief and concise book packs in a lot of concepts, information, inspiration, insights, advise and case studies all inter-woven into an eminently readable text. 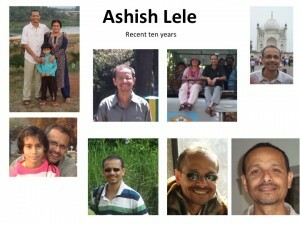 This book is being published by Crossword’s publishing arm “The Write Place”. It should be available soon at Crossword stores online and offline. If you are setting up meetings, especially Board meetings, you can consider using Rallly. Rallly has a simple and nice interface. It also has a version where you can send people a link where they can just say which dates they are available. Organizer to fill up form. Fill up text well and fully explaining the event since the same text is used in the scheduling site/invite email. The site will first send you an email to confirm if your email address is genuine and whether you only have initiated the scheduling request. You have to confirm by clicking on the link you will receive in the email. Use that URL in your email asking people for suitability of dates. They have to respond by clicking the link. Then notification will come to you when they have responded. Note: The above is only a typical progression for discussion purposes. In actual practice there will always be differences based on each situation. Very often the same person will be carrying out many different roles — this is especially so in start up environments and small companies. Most young people will immediately notice that they like it when they are growing in responsibilities steadily. A job that is stagnant in responsibilities can get limiting even if the tasks keep changing regularly. However, the common mistake its to assume that responsibilities are “given”. They are “earned”. People who are given greater responsibilities are those who have shown that they can handle smaller responsibilities very well. In some specialised professions, people may choose to remain Independent Contributors but only grow in technical excellence but not in range of responsibilities. That depends on your personal orientation. So, some organisations may have a separate career track that recognises technical excellence instead of increasing responsibilities. Interestingly, there may be no correlation between the nature of responsibilities and the compensation you get. For example, in NGOs or in small companies, you may have much larger responsibilities but with much smaller compensations. 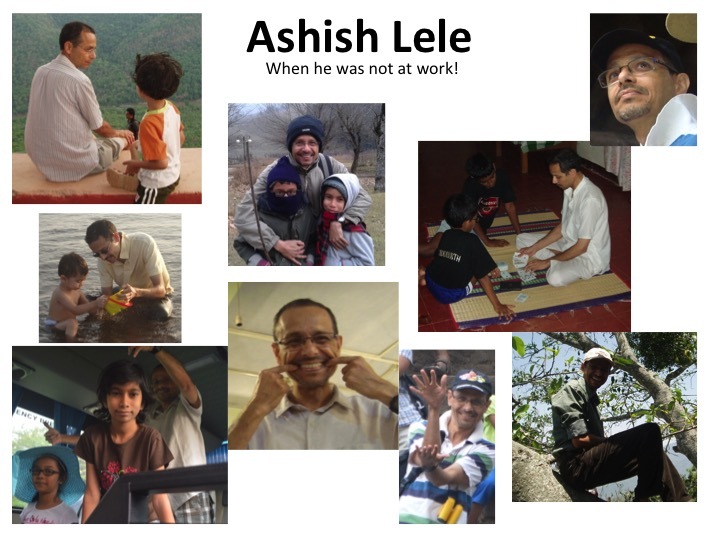 It is often because of the opportunity to take on larger responsibilities that many people may chose to either quit larger companies and create startups or choose to work part-time or moonlight or volunteer with NGOs. Since larger entities drive efficiencies by streamlining tasks, they tend to reduce as many activities as possible into well defined tasks. Consequently, people are hired for executing specific tasks well. Larger companies can pay well for execution of these tasks. In general, smaller entities give young people a better chance to take up larger responsibilities. You will immediately notice that for students, selected volunteering opportunities with NGOs or organising large events or taking on institutional responsibilities or club responsibilities or being team captain etc are great ways to learn about and test your abilities in taking different types of responsibilities. Once you have tasted blood in terms of taking on larger responsibilities, it is often hard to slide down to roles with limited responsibilities. If you are on career growth track, it is important for you to realize that you need to show ability to handle larger responsibilities progressively in order to grow. Also, you should not reject opportunities of greater responsibility thrust on you since these are mechanisms to prove your worth. Sometimes, young people seek promotions without trying to build their ability to handle greater responsibilities or build in technical excellence in their roles. If you are a student, you may wish to think about what your jobs and internships will teach you in the context of the above frameworks. Do not shy away from opportunities that stretch your abilities and help you test your strengths. Where do you stand today? What kind of responsibilities are you taking up? What is your personal orientation — growth in responsibilities or technical excellence? Where (in terms of responsibilities) would you like to be next and what can you do to prepare for that? What is science? What motivates scientists? a method of systematic thinking, and creating new and improved understanding, a method of pursuing knowledge? a body of systematically accumulated knowledge? a community of people ? Continuously improving and changing theories and models. All theories need to be testable.